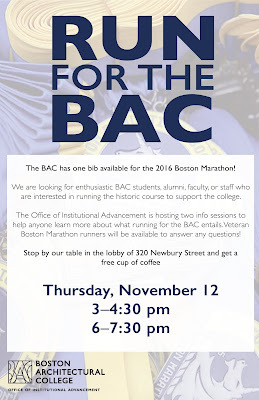 Run the 2016 Boston Marathon for the BAC! The BAC has one bib available for the 2016 Boston Marathon! We are looking for enthusiastic BAC students, alumni, faculty, or staff who are interested in running the historic course to support the college. 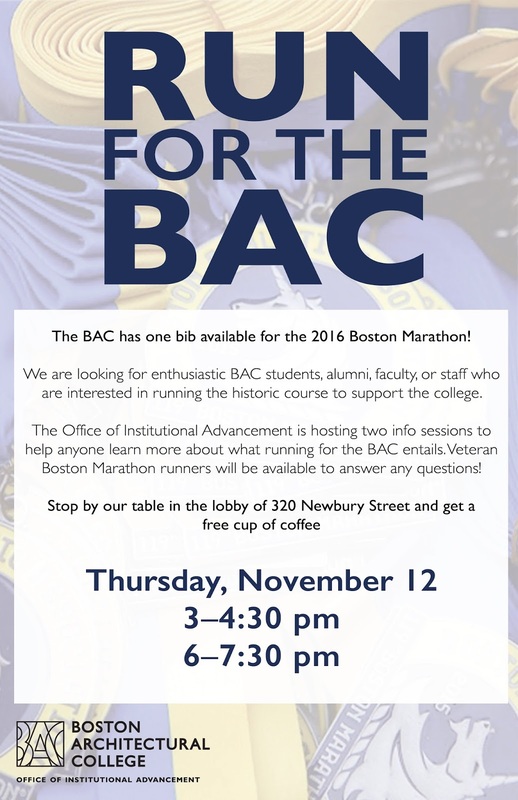 The Office of Institutional Advancement is hosting two info sessions to help anyone learn more about what running for the BAC entails. Veteran Boston Marathon runners will be available to answer any questions! Stop by our table in the lobby of 320 Newbury Street. If you can not stop by one of the information tables, you can contact giving@the-bac.edu to get more information. "A well-dressed Davis approaches someone on the street and tells them a sob story of a flat tire. He only needs a few bucks to buy a fix-a-flat, he pleads. This "few bucks" has been as high as $80 in some stories. 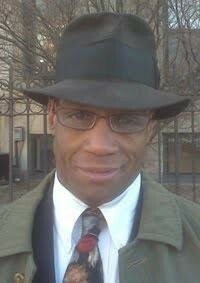 Con artists usually ask for a non-rounded amount of money--$12, $14, $22-- in hopes that his prey does not have exact change and ends up giving $20 or $30 flat. For those who do not have cash on them, Davis points to an ATM conveniently located right around the corner. He is rather convincing because many people do go to the ATM, but still others do not." You can see a picture of Davis above, and below you can also read the full Odyssey article, as well as several discussion boards regarding Davis. Need More Print Money? :: Add Funds! 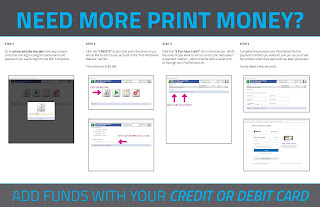 Add Funds to Your Printing Account! As of 3/21, students will be able to add print funds to their account by logging in to this web site with their BAC network credentials. After 30 days, the help desk will no longer accept cash payments. The minimum amount to add is $5. We will not be able to transfer funds out of your print account to another account or to your school fees. Please add appropriate amounts when adding money. Please call 617-585-0191 with any concerns or questions. Want to learn how to make a 5-pointed paper snowflake? Use these great instructions from How About Orange to learn how to make gorgeous snowflakes. Six-pointed snowflake instructions can be found here at Instructables.